NOBLE SHROPSHIRE (Inspector/Moriarty) Broadway: Underling in The Drowsy Chaperone; Royal National Theatre’s premiere of Tennessee Williams’ Not About Nightingales with Trevor Nunn; Candida (Roundabout). Off-Broadway: The Killer (Theatre for a New Audience); Parris in The Crucible (Roundabout); CSC (9 seasons). Title roles in Hamlet, Peer Gynt, Tartuffe, Leonce & Lena, as well as the Fool in King Lear, Mephisto in Faust, Hummel in Ghost Sonata, Robespierre in Danton’s Death, Gayev in The Cherry Orchard; La Mama. Regional: Actors Theatre Louisville, Alley Theatre, ART, Arena Stage, Asolo, Cincinnati Playhouse, City Theatre, Denver Center, Great Lakes, Hartford Stage, Monomoy Theatre, PlayMakers, Phoenix Theatre, Pioneer Theatre Co., Pittsburgh Public, Rep Theatre St. Louis, Stage West, Westport County Playhouse. 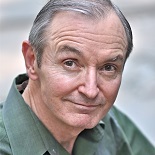 Television: Roger Stifdik in “Strangers with Candy,” “Loving,” “Guiding Light.” Film: The Asylum Seekers, The Uninvited. Training: Royal Academy of Dramatic Art, London.